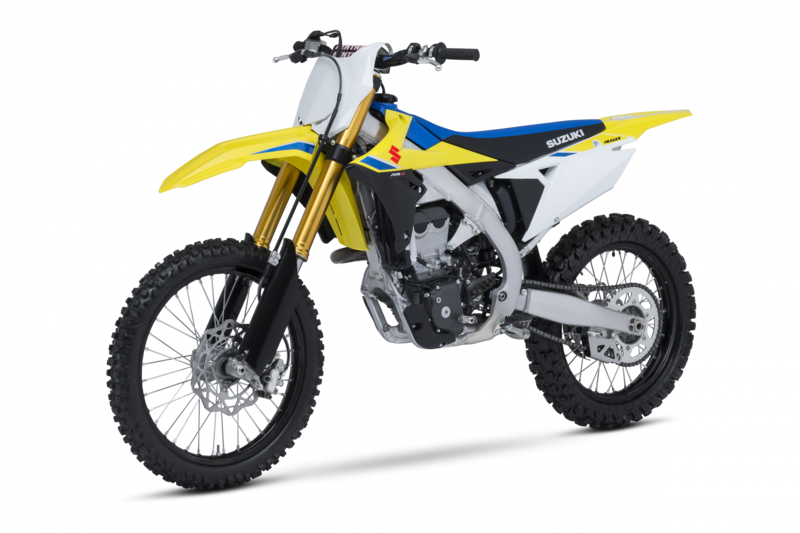 Brea, Calif, – Suzuki Motor of America, Inc. (SMAI) is pleased to announce the all-new RM-Z450 motocross model. Completely redesigned for 2018, the RM-Z450 wraps a sleek, race-ready appearance around a stronger engine and a nimble chassis that continues the Suzuki tradition of extraordinarily precise handling. Developed using Suzuki’s RUN, TURN, and STOP philosophy that creates a Winning Balance between engine and chassis performance, the 2018 RM-Z450 has stronger brakes for better stopping power, a wider spread of engine muscle with higher peak power, and a frame that is stronger and lighter resulting in a nimble chassis that elevates the standard for cornering performance. 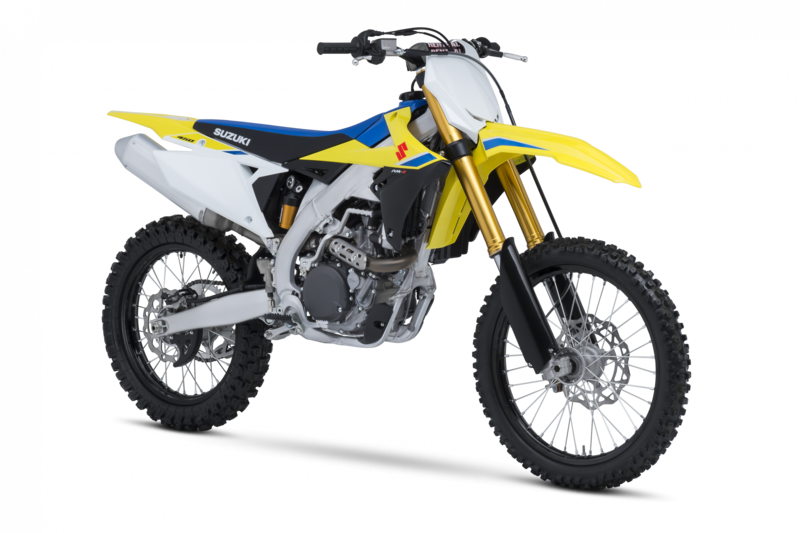 This new bike continues Suzuki’s tradition of producing the best handling motocross motorcycles available by arming the RM-Z450 with a redesigned aluminum, twin-spar frame and swingarm. Refined with new dimensions and weight distribution, this frame is accompanied by a new style Showa coil spring fork and an ultra-advanced Showa Balance Free Rear Cushion (BFRC) shock absorber. 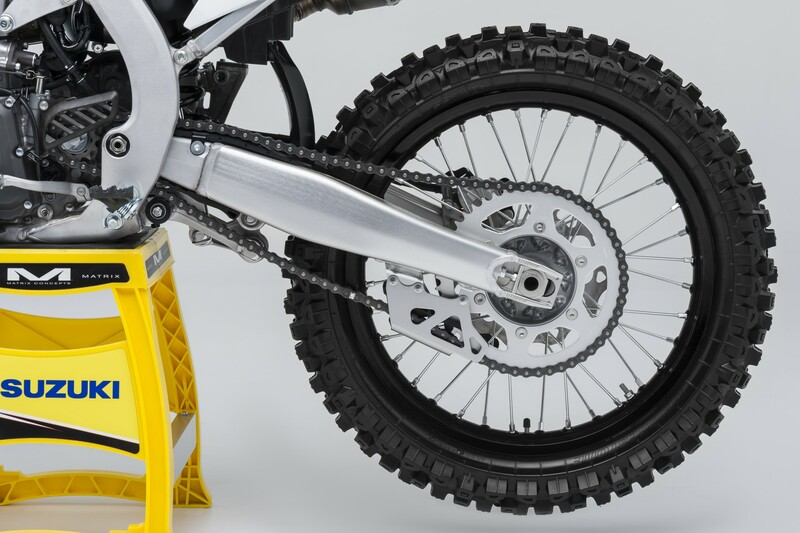 Similar to the design used on Suzuki’s potent GSX-R1000R, the BFRC shock (shown at left) brings advanced damping force control and stability to off-road competition. 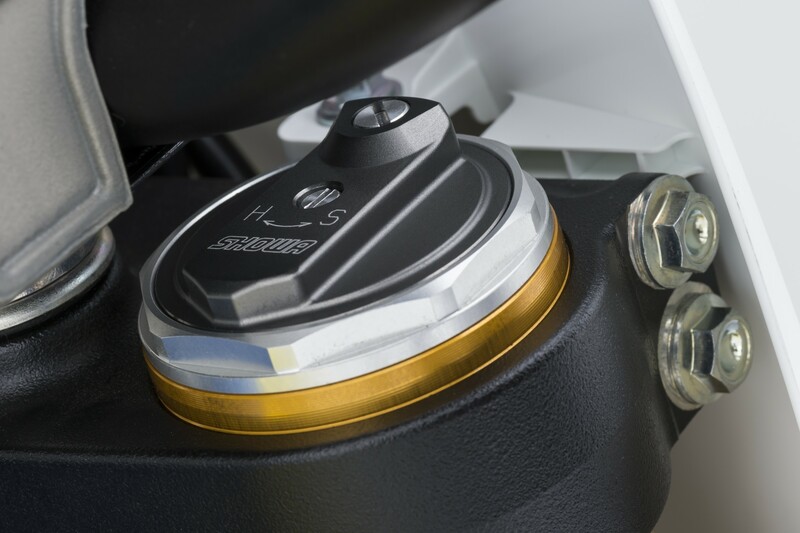 Fitted with a new, larger front brake rotor and a sleek new rear master cylinder, the RM-Z450 delivers improved stopping performance. A high level of grip and feedback is delivered to the rider via the RM-Z450’s new Bridgestone X30 tires mounted to the stronger, but lighter aluminum rims. 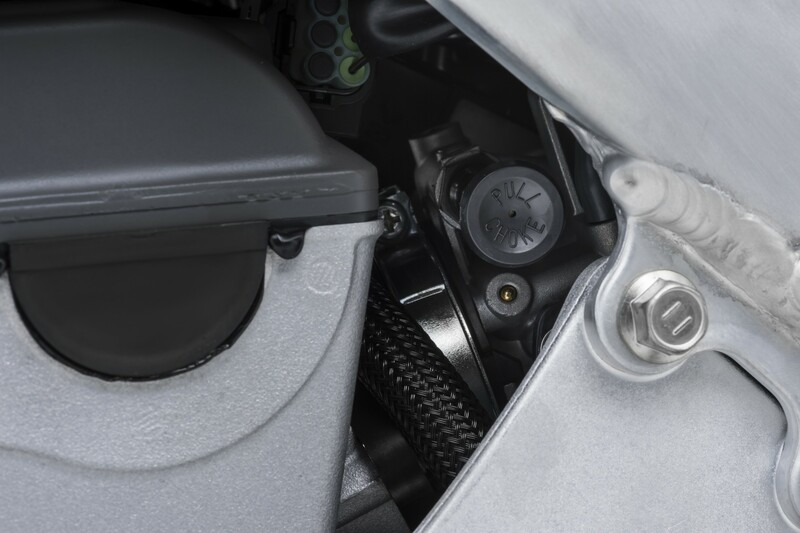 Key improvements for the 2018 RM-Z450 powerplant include changes to the air intake, electronic fuel injection system, and select engine parts to improve throttle response while boosting peak power. 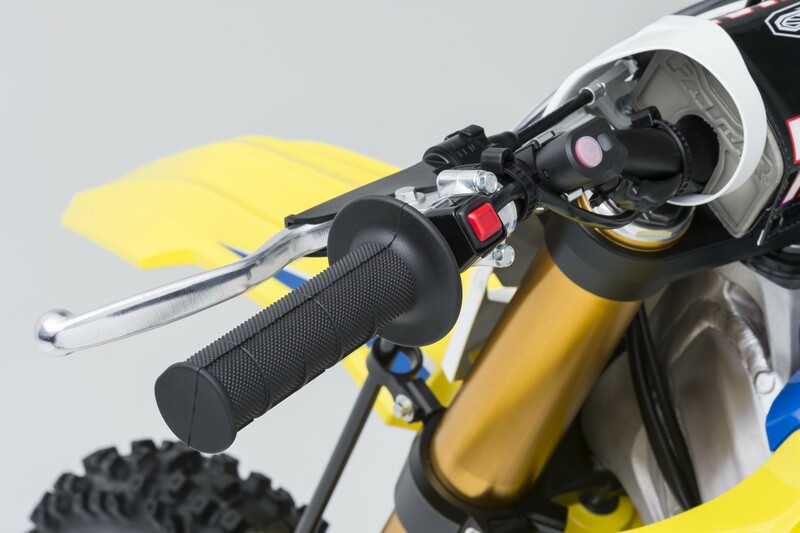 An evolved version of Suzuki’s Traction Management System helps the bike hook up regardless of the conditions, while an updated Suzuki Holeshot Assist Control (S-HAC) system) gets the RM-Z450’s rider out in front with a stronger power surge out of the starting gate. 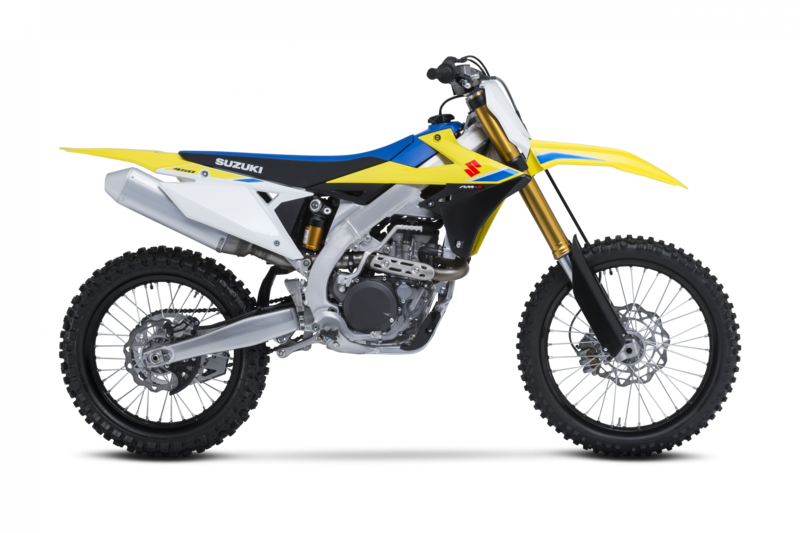 The RM-Z450’s aggressive new styling blends purpose with a strong Suzuki racing personality. 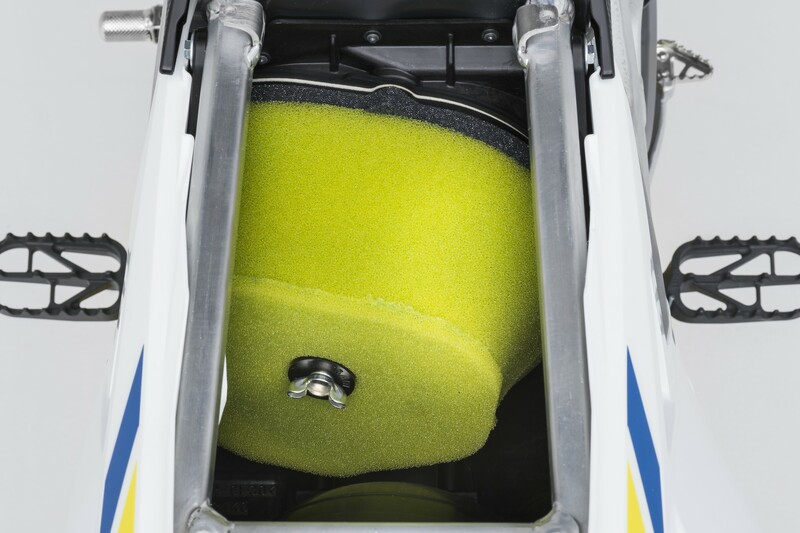 The bike’s narrow cockpit lets the rider easily move around, blending with the chassis for maximum racing performance. Function creates style as the bodywork flows from the front fender, into the number plate and radiator shrouds, through the slender seating area, then merging into the angled side covers and pointed tail. Understated graphics with blue and black accents hover above the iconic Suzuki Championship Yellow bodywork, creating an innovative look that is instantly recognizable as a serious racing machine. Always a successful racer, the RM-Z450 has delivered a world championship, seven AMA SX or MX championships, plus 19 national titles around the globe while securing more moto and overall wins in the US than any other 450-class bike in the last decade. Now, with this significant revision, the 2018 RM-Z450 is poised to be an even more formidable competitor.